Skin tone and condition have always been a big concern for women. It is an endless battle for every woman to look good and beautiful according to societal stereotypes. 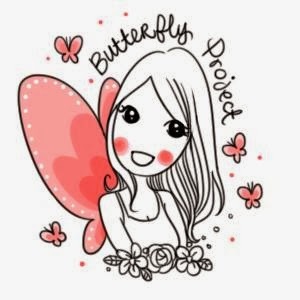 Hence it is a common desire for Asian women to have beautiful, fair and radiant skin. And to further add to the stereotype, I am one of those people. Being an athlete since young (like, really young, since 4 years old :p), I have always been under the sun, and I have skin so tanned, that if you didn't know me, you would have thought that I was a Bumiputera and not pure Chinese. 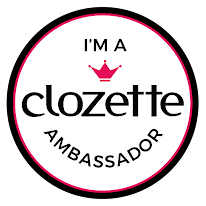 And I have been trying to get a healthier and fairer skin tone, and get rid of the dark spots. 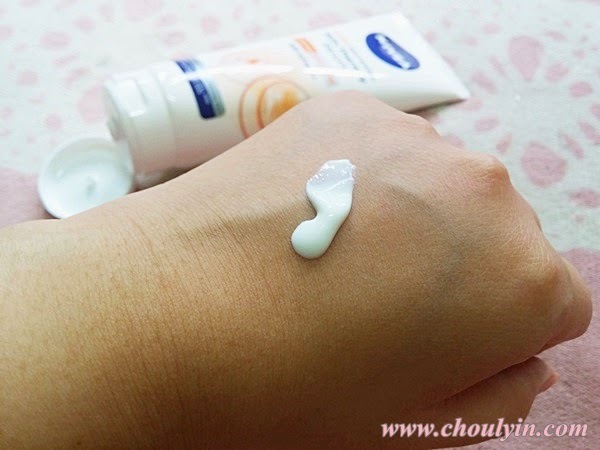 So I am always on the lookout to find the right whitening product that can suit my skin, but not only that, I need to consider whether the product I chose will be able to also protect me from harmful UVA and UVB Rays. Because yes, if you get the wrong product, your skin will become dull and damaged. 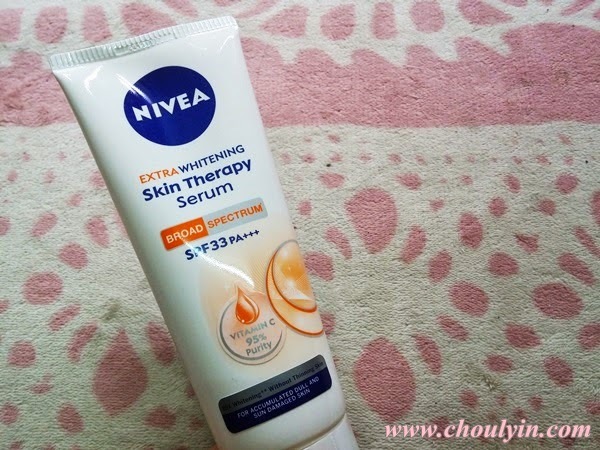 So when I was given the opportunity to review NIVEA's Extra Whitening Skin Therapy Serum SPF33 PA+++, I thought, why not? I have nothing to lose, and everything to gain. The Serum claims to protect skin from UV Rays, and repairs accumulated dull and sun damaged skin from within. 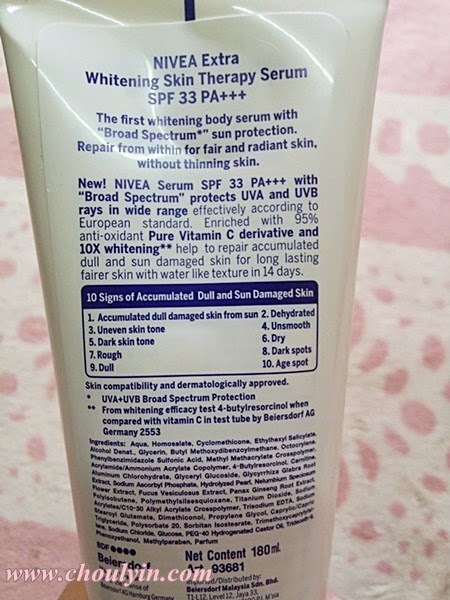 It contains "Broad Spectrum" which is a UVA/UVB Protection that protects your skin in a wide range. Enriched with 95% anti-oxidant Pure Vitamin C derivative, it gives 10 times the whitening effect to help repair accumulated dull and sun damaged skin for long lasting fairer skin in 14 days. 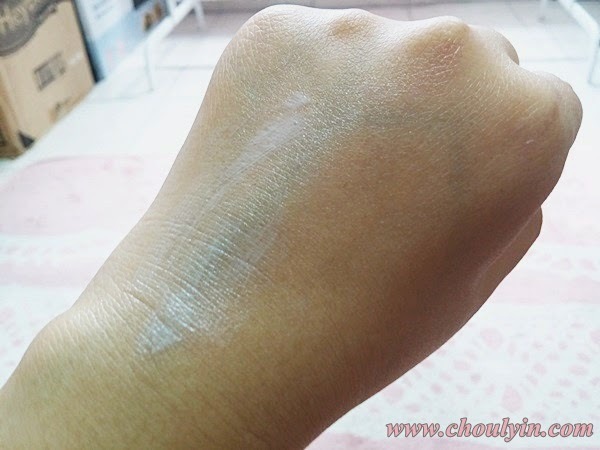 It is also gentle on skin without causing skin thinning compared to other whitening products. When I applied this serum on my skin, I find that it absorbs very fast and does not leave any stickiness on my skin. And it is very long lasting. For example, after I apply this serum in the morning, I realise that even after I wash my hands, after drying them my hands still feels moisturised. It was only then that I realised that I do not need to reapply the serum throughout the day as its efficacy is awesome. NIVEA Extra Whitening Skin Therapy Serum SPF33 PA+++ is now available across all leading chain hypermarkets, supermarkets, and pharmacy stores in Malaysia. And guess what! 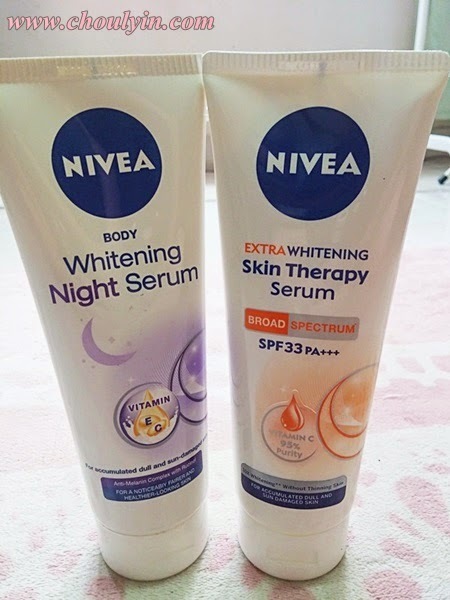 the NIVEA Body Whitening Night Serum is also available! So you can use it at night to repair and nourish skin during the night and wake up a new person!